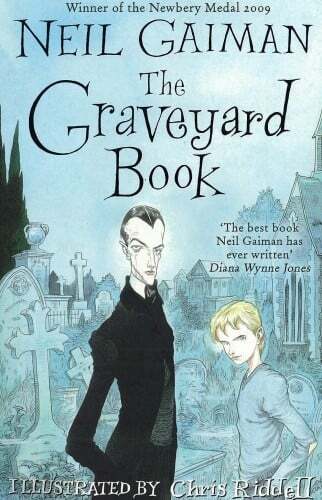 An original adventure story about a boy raised by the resident ghosts, ghouls and spectres of a local graveyard. When a baby escapes a murderer intent on killing the entire family, who would have thought it would find safety and security in the local graveyard? Bod has an eccentric childhood learning about life from the dead. But for Bod there is also the danger of the murderer still looking for him – after all, he is the last remaining member of the family. A stunningly original novel deftly constructed over eight chapters, featuring every second year of Bod’s life, from babyhood to adolescence. Will Bod survive to be a man? 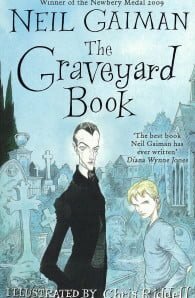 Gaiman is the New York Times bestselling author of the novels Neverwhere (1995), Stardust (1999), the Hugo and Nebula Award-winning American Gods (2001), Anansi Boys (2005), and Good Omens (with Terry Pratchett, 1990), as well as the short story collections Smoke and Mirrors (1998) and Fragile Things (2006). His screenwriting credits include the original BBC TV series of Neverwhere (1996), Dave McKean's first feature film, Mirrormask (2005), and the Doctor Who episode 'The Doctor's Wife' (2011).